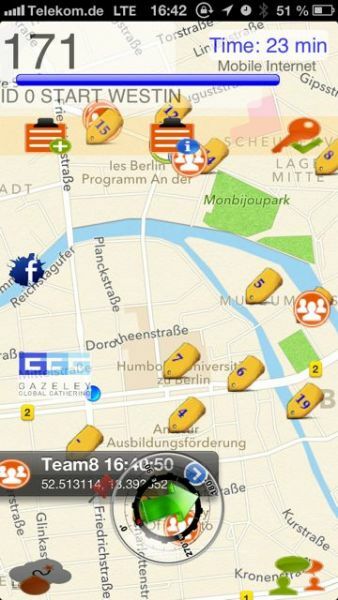 How to combine tasks from city rallies, geocaching and creative elements from city bound in a modern way? How to integrate modern communication means? How to provide "tailored" events for our clients? 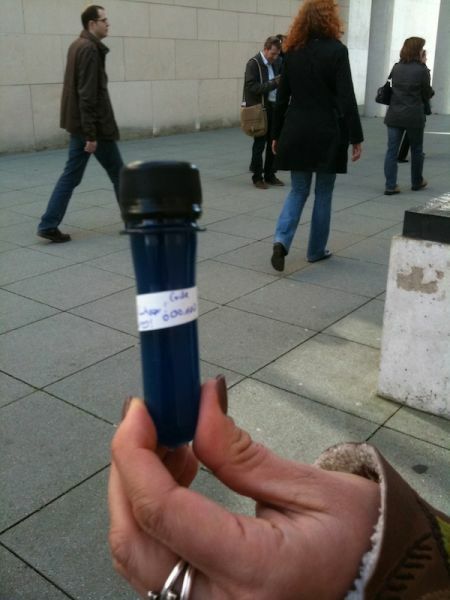 How can participants discover the city in a new and fresh way? How to connect event and modern team training? The answer is the iRallye. 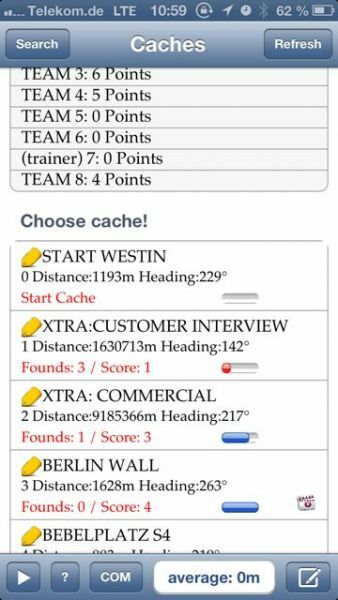 A thrilling, custom-built team building concept based on iPads / iPhones and our iRallye app. There is also an Android version upon request. The iRallye is well suited for team events as well as team trainings. We provide the rally not only in Germany, but at every location with a stable mobile internet. The iRallye combines a broad range of team building activities with an exceptionally exciting integration of technique and nature experience. - iRallye cooperation : The groups are spread out over the city, but have to cooperate intensely to solve their common task. 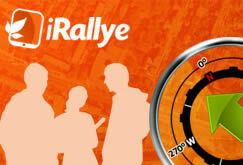 - iRallye competition : The groups compete and try to get the most points by the use of clever tactics, fog bombs etc. Tasks can vary greatly, e.g. making a small movie, cooperative adventure challenges, problem solving challenges in social interaction with other “locals” and other tasks involving geocaching (e.g. an underwater cache, UV cache or magnet cache hidden behind a road sign). A built-in localization tool informs all team members about the position of all others. iRallye cooperation: 85 € / pers. iRallye competition: 73 € / pers. (The iRallye is often requested with many participants. The prices are then substantially lower). optional: Coffee break: 6,90 € / pers. 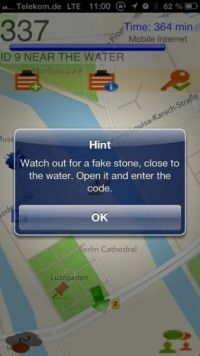 "Even with a few raindrops at the beginning the whole rally turned into an exciting treasure hunt. I am happy to just pass the praise and positive feedback of the whole team. The organization was brilliant. We liked very much the clear initial briefing and the relaxed support from the trainers during event. The iDevices and the iRallye app were well received, too. Bodacious tasks, hidden treasures and having a fine time in our team made the 3h really unforgettable. Upshot: An amazing team building activity, that we can gladly recommend . Thank you very much for your commitment and enthusiasm! " 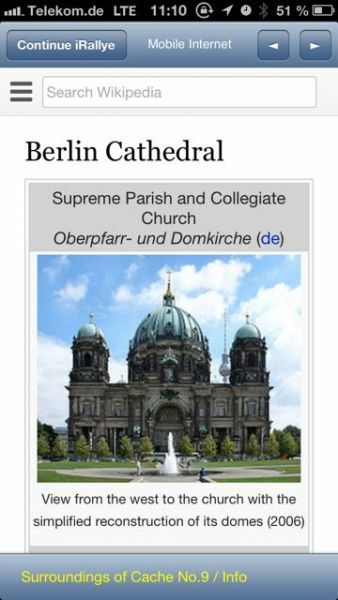 You like to get to know something about the city you are in? 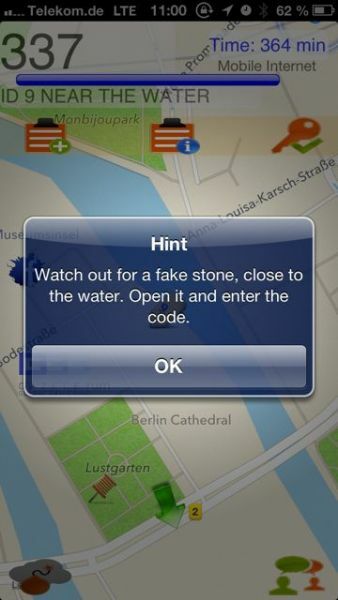 The iRallye app shows you relevant information at every point of interest. We provide the sufficient amount of iPads / iPhones. These devices are connected by our iRallye App and a back-end game server (via mobile internet). So you get a peerless "James-Bond-Feeling"). We are asked quite often if the iRallye app is in the app store. No! And it will never be. The software (in-house development) is easy to use, but extremely customized just for the needs of our clients. We use a special developer license from Apple. The iRallye is a wonderful team building activity. It is perfect as an event as well as a teamtraining (or both!). The iRallye is often booked for international meetings or congresses. And you discover the city in a "fresh" way! Furthermore this programm is suitable for very large teams. Advice for participants: wear comfy, rainproof clothing and comfortable shoes. No special sporting aptitude required, but the groups have to walk some distance.